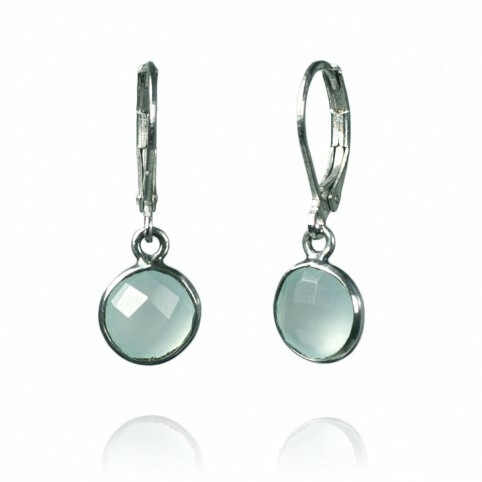 Antique sterling silver earrings with faceted sean blue chalcedony stones, mounted on leverback closures. 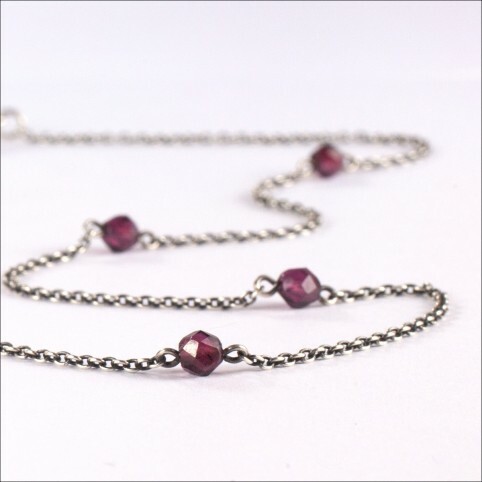 Solid antique solid silver chain (925 sterling silver), with faceted garnet beads. 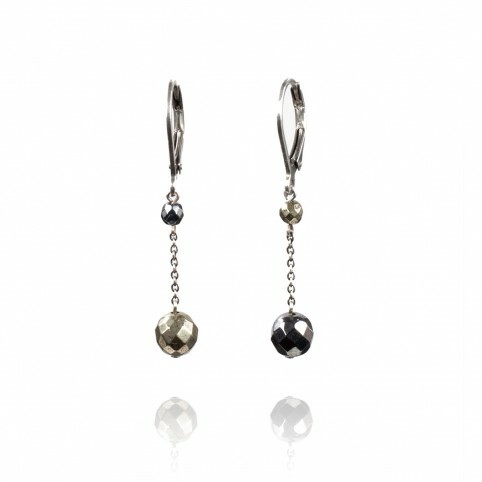 Very strong magnetic clasp. 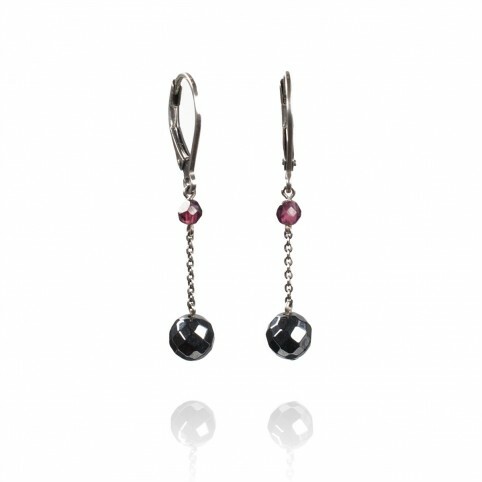 I had a real crush for these garnets, I find them beautiful, and their color slightly change depending on the light. In the evening, the electric light gives them cognac hues. A necklace with mystery inside. Perfect with necklines and black sunglasses. 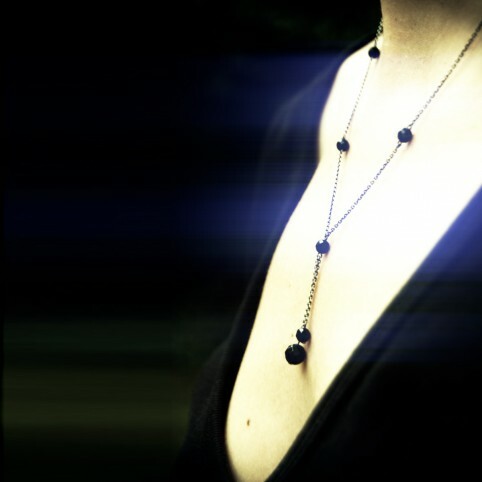 Antique silver chain (solid 925 sterling silver) and onyx faceted beads. 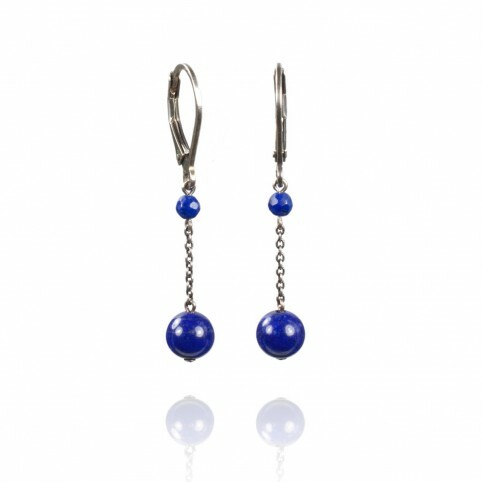 Very strong magnetic clasp. 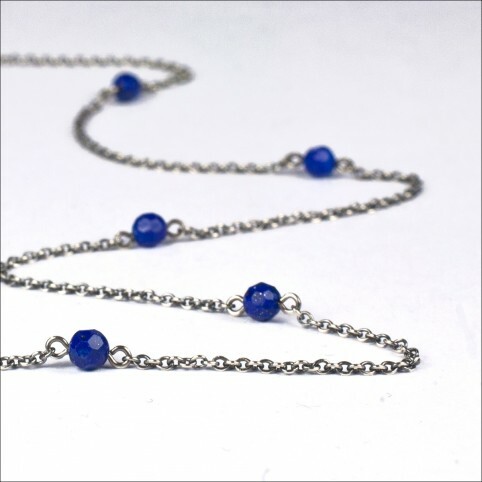 Solid antique solid silver chain (925 sterling silver), with faceted lapis lazuli beads. Very strong magnetic clasp. 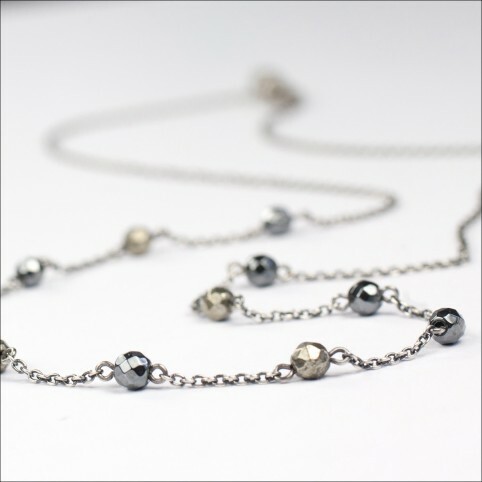 Solid antique solid silver chain (925 sterling silver), with faceted pyrite and hematite beads, two stones with metallic shine, placed in a logical order, like pieces of a strategy game. Very strong magnetic clasp. 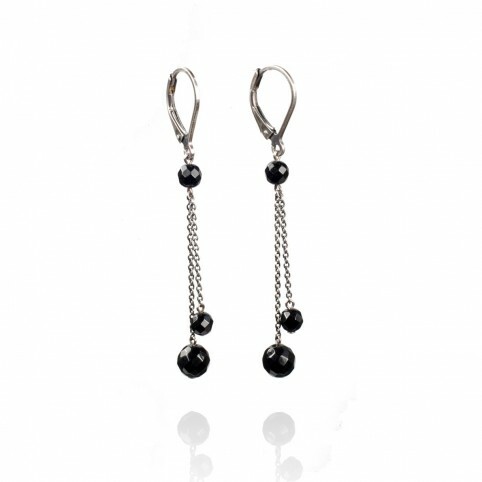 Long antique sterling silver earrings with thin chains and faceted onyx beads. Mounted on leverback closures.